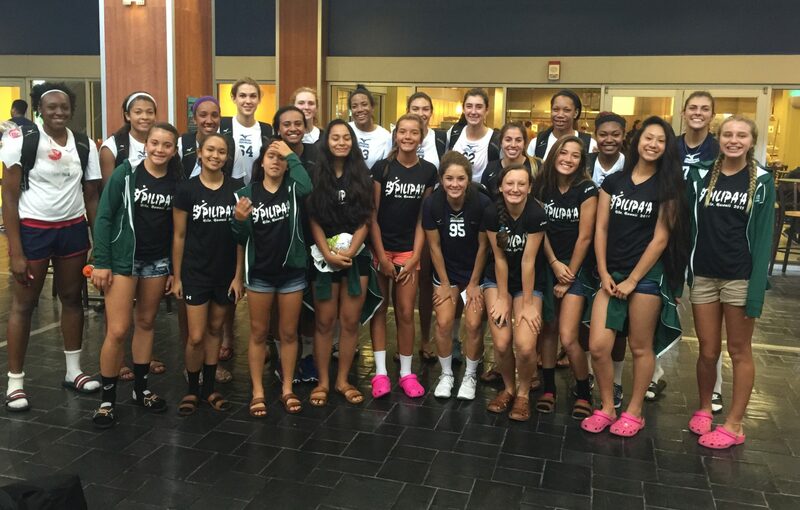 New Orleans, LA – Day 3 in New Orleans was hot and humid again, but a productive day for our Pilipa’a girls. We spent most of the day at the University of New Orleans near the shores of Lake Pontchartrain just a few minutes outside of downtown New Orleans. The girls started the day with an orientation video presentation in the library followed by a thorough campus tour with a very energetic tour guide. We ate lunch at the University dining hall where Coach Chris ran into North Carolina Central University and USA High Performance Coach Nicki Homes who introduced the girls to the USA Women’s Collegiate National training team. The USA team is on campus for a training camp before heading overseas this summer. 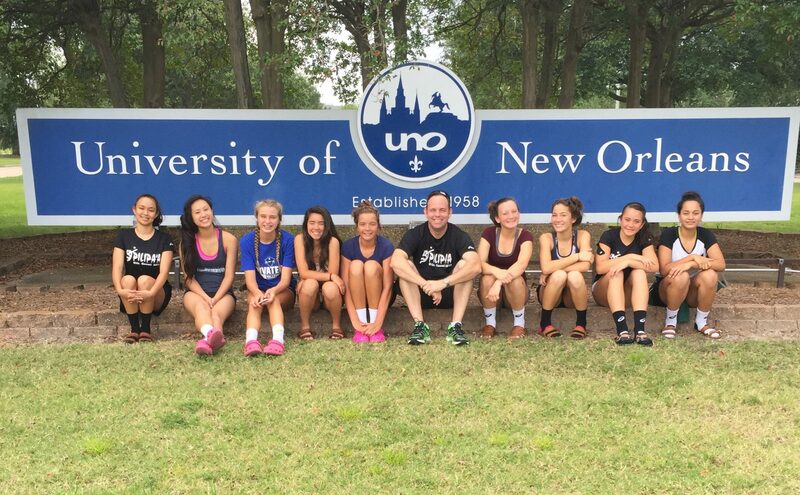 Pilipa’a continued their visit with a 90-minute practice at the Human Performance Center, home of the University of New Orleans Privateers Volleyball program. Our practice was held between two USA Collegiate National Team practices. It was a cool opportunity for the girls to practice in the college facility before and after some of the best players in the country. Mahalo to University of New Orleans Head Coach and USA High Performance Coach Millicent Van Norden for connecting us with the school for an outstanding visit. Pilipa’a begins play in the 2015 USA Volleyball Junior National Championship tournament tomorrow (Tuesday) afternoon at the New Orleans Ernest N. Morial Convention Center on the Mississippi waterfront. They’ll face STL CYC 14-1 of New Orleans at 2:30pm (9:30am HST) followed by Topeka Impact of Kansas at 4:30pm and Club Max 14 National of Allen, Texas at 6:30pm.